I have been writing pretty regularly over the years, some of which has been going up on line, but most of it never gets out of my Evernotes. I have been feeling a mounting inner pressure recently to get more of it out in the open to start some dialogues and share ideas with others. One excuse I was using to not get a blog going with regular updates was the fact someone else owned JamesHollow.com, so once I got hold of this domain I had no excuse to not get it together. I have also been piecing together the knowledge required to set up and run a blog like this one from scratch so I can be totally self sufficient. I have been frustrated by not being in control of my own publishing before and so for this one I wanted to be totally self sufficient. Thanks to plug and play hosting solutions and the brilliance of WordPress and all the tools and communities around it these days, that required knowledge is pretty accessible all of a sudden. Why the “hybrid thinking” theme. Recently it dawned on me that I am living a “hybrid” life, or rather I realised that I could use the concept to pull together a bunch of consistent characteristics of my life. Hybrids are genetic combinations in the original meaning, a bit like my children being half Japanese and half anglo-saxon-celt! But these days the word hybrid has been applied to many things, not least cars and many other types of technology too. My focus however for this blog is on the hybridisation of ideas, behaviour and cultures. My family life is a hybrid of Japanese and British: igo classes followed by cricket practice; udon for lunch but roast pork for dinner. What does this mean for my kids? I am really not sure, but am definitely in the process of discovering. Likewise professionally I run a company, Profero Tokyo, which is a hybrid culture. We are about half Japanese, half international including a few international Japanese. A lot of our work is with international businesses and brands that are well adjusted to Japan, not least thanks to our efforts, but are certainly note Japanese in their DNA. One way of looking at what we do is as an interface between Japan and the rest of the world, bringing ideas and their conduit brands in, and taking Japanese brands and their associated ideas out of Japan too. To do this we have to be this hybrid culture that is not one nor the other, but both at the same time. In this sense of the word we all grow up in slightly “hybrid” contexts, there is no such thing as the “normal British company” or “standard Japanese upbringing” and all companies and families are a blend of influences, but the contrasts that I both enjoy and am challenged by on a daily basis are a little more extreme than most, at least compared to my own previous experiences. 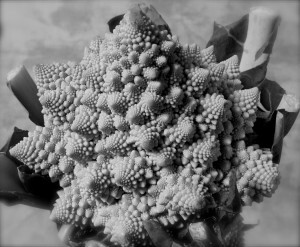 I believe that with highly contrasting hybrid cultures there is a greater chance of creating a really original and special offspring, just like the hybrid vegetable depicted above with its miraculous fractal structure, but also a higher chance the result ends up a bit messed up! Who would be interested in a blog about my hybridised life? That is a very good question! I will touch on themes that I believe are relevant to anyone trying to nurture a positive hybrid culture or environment, whatever the mix is. 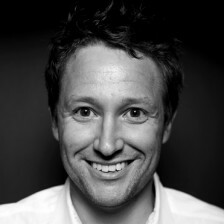 There is no doubt that what I write will be coloured with the context of Tokyo, as well as the uniqueness of Profero: a company founded in London but with global curiosity at its heart from the outset, but I will be trying to draw generalised conclusions from my local examples. I also believe that Japan will play more of a pathfinder role in global society, coming up with all sorts of hybrid solutions as it confronts various socio-economic issues before other countries inevitably meet them themselves, and so I intend to proactively imagine what that role will be, pick up examples of Japanese technology and social trends that might be indicative, and based on these rethink Japan’s role in the world.